We get a lot of emails from people concerned with the privacy of Living people in their tree. They see a MyHeritage Record Match and think that their Living person's information is on the internet. With a RECORD match the information IS on the internet. 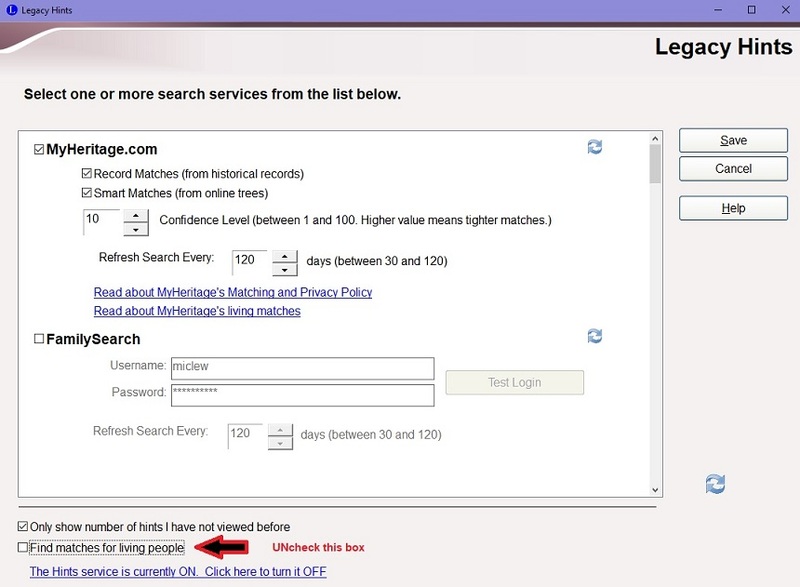 What you are seeing is a match to a PUBLIC database. Here is part of a webinar where Founder and CEO of MyHeritage, Gilad Japhet talks about Legacy and MyHeritage. You can find the entire webinar this snip-it came from here. Take a look at the screenshot below.This is a Record Match on me (I redacted all my personal info). Notice the database where this information is coming from, U.S. PUBLIC Records Index. Ancestry has this database too. All of the information on the right side was correct. This is PUBLICLY available information. 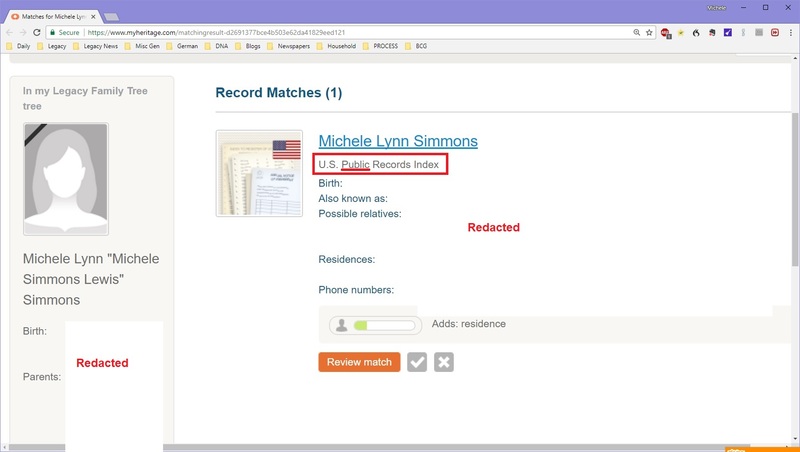 MyHeritage is not displaying anything that is not in the public domain.